The war between the British and the French raged all over the land for many years and each side tried its best to seize water passages and take over the trade in various regions across North America. The Native Americans in several regions spread across what is now the United States were caught up in the fighting and had to choose a side. As both the French and the British struggled to form a strong presence across North America, there was no stopping the continuous battles for the possession of land and essential trade routes. Towards the end of the 1600s, both nations were hailed has being predominant and the bitterness led to fighting and chaos all over Europe. During the historic French and Indian War that prevailed from 1754 to 1763, North America was preoccupied by nothing but battle. During the war, a log fortress was built by the commanding officer of the battalion, Major-General William Johnson. This stronghold served as a formidable defense for the North American battalion and was made for the British forces that were marching from Canada via the Hudson River. The fort was destroyed by French General Marquis de Montcalm in 1757. After it burnt down to the ground, the fort was abandoned. Fast forward to the 20th century, when Fort Williams was restored in 1952. Now known as the Fort Williams Henry Museum, the establishment has been fully reconstructed near Lake George, allowing visitors to take an elaborate tour of the then battlefield. Here, you can dive back into history and re-enact the tense environment and the sound of cannon fire raging all over the place, while the museum serves as a reminder of what war felt like, fought in the cold and in the wilderness with limited resources. A number of excavations undertaken over a period of 60 years have helped archaeologists and historians to discover the buried artifacts and scrolls that are now on display at the museum, and as a living museum, there are live actors in period costume ready to inform and educate. Visitors also get to learn of the tremendous role the women of the time played in the war, keeping the soldiers well fed and motivated. You can also talk to the local ranger about the numerous types of defensive and offensive war strategies that were implemented to gain the upper hand. You will be surprised to know that a majority of the tactics were learned from the true natives of the land, the Native American tribes, and that these strategies are still in use by the US military today. 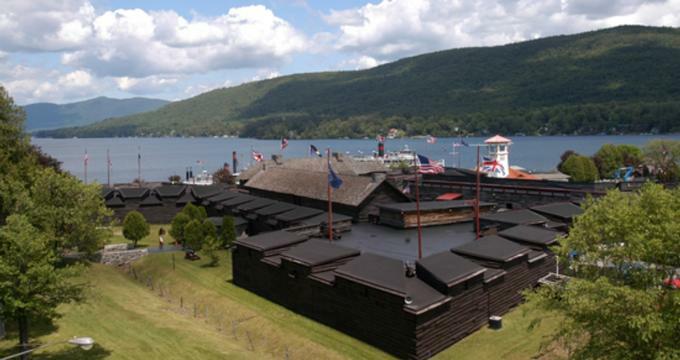 In all, the Fort William Henry Museum is an excellent place to re-live those moments of victory and loss.